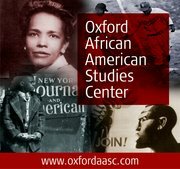 The Oxford African American Studies Center combines the authority of carefully edited reference works with sophisticated technology to create the most comprehensive collection of scholarship available online to focus on the lives and events which have shaped African American and African history and culture. Subscribe to the African American Studies Center today for 30% off. Valid through March 31st, 2016. Patterned on other sports dramas about race and the freedom rights struggle, such as Remember the Titans, Glory Road, We Are Marshall, The Express, and 42, Race tells the story of Jesse Owens’ preparation and stunning performance at the 1936 Summer Olympics at Berlin, Germany. However, while Owens follows a long tradition of unsung African American heroes, many remain unfamiliar with the details surrounding his rise to prominence. Born on 12 September 1913, James Cleveland “Jesse” Owens was born the twelfth child to sharecroppers Henry Cleveland and Mary Emma, near Oakville, Alabama. Despite his later athletic success, Owen’s early childhood was marked with physical illness; having almost died from pneumonia, he was relieved of most demanding farm work until his family moved to Cleveland, Ohio in 1922. Here, for the first time in his life, Owens received a consistent education and regularly participated in athletics. By the time he graduated from East Technical High School in 1933, he was a nationally renowned sprinter, widely recruited by northern universities with great track and field programs. However, wanting to stay close to home, Owens attended The Ohio State University at Columbus. He continued to excel in track and field and in the classroom, while also working part time to make up for not being offered an athletic scholarship. In 1935, Owens set four world records in the 100 yard dash, the long jump, the 220 yard dash, and the 220 yard low hurdles at the National Intercollegiate Championship at the University of Michigan at Ann Arbor, Michigan. Six weeks later, on 5 July 1935, he reached another milestone in his life, marrying his childhood sweetheart, Minnie Ruth Solomon, whom he would ultimately start a family with. Following his incredible performance at the National Intercollegiate Championship, Owens fulfilled the popular prediction that he would be the favorite to make the US Olympic Team. Simultaneously, white supremacists on the International Olympic Committee (IOC), who argued that “politics had no place in sport”—such as the US Olympic Committee’s (USOC)/IOC’s Avery Brundage—hypocritically politicized the 1936 Summer Olympics, ultimately deciding the games would be hosted in Berlin. This set the stage for Adolf Hitler to use the Games to promote the global reemergence of a powerful Germany, which at its center was the advancement of Nazi ideologies of Aryan supremacy. At the start of the Games, German athletes dominated the medaling, which led to the common perception that Germany would continue to dominate the gold medaling in most major events, and that Hitler’s propaganda would go unimpeded. That is, until Jesse Owens won four gold medals in the 100 meter sprint, the long jump, the 200 meter sprint, and the 4 x 100 meter relay team. After the Olympics, Owens entered into obscurity and eventually became bankrupt, unable to profit from his short period of fame. During the 1968 Summer Olympics, he briefly reemerged as the first black USOC official. In this role, USOC/IOC President Brundage—who at the time led the movement to readmit Apartheid South Africa into Olympic competition—tasked Owens to manage and expel any black athlete from the Olympic Village who brought politics into the Games. Thus it was Owens who in fact publicly criticized Tommie Smith and John Carlos for what appeared to be Black Power salutes. Four years later in his autobiography, I Have Changed (1972), Owens acknowledged the legitimacy and linkage of Smith’s and Carlos’ freedom rights tactics to the long tradition of underestimated and unrecorded black heroes for democracy and freedom. Smith and Carlos launched the wider movement that had started with Owens himself in 1936 Berlin, a movement in which they all played a major role in the freedom rights movement against racism in the United States and against fascism abroad. Image Credit: “1936 Berlin Olympics Photograph – Listing Jesse Owens’ 100 and 200 Meter Sprint Victories” by Joe Haupt. CC BY SA 2.0 via Flickr. Herbert G. Ruffin II is Associate Professor of History and African American Studies at the Syracuse University, College of Arts & Sciences.